When some people start to encounter expensive issues with their current car, something odd often goes through their minds: They seem to think that the best financial solution is to buy another car. This is a bad idea, and these people need a lesson in total vehicle cost. Maybe gas got too expensive. Maybe payments are too high, or repair costs are out of hand. These are all legitimate reasons for wanting a new car, but buying a whole new one will rarely save you money in the end. Even though I make money by helping people purchase cars, I frequently attempt to talk someone out of buying something because I don’t like seeing people take on an unnecessary financial burden. This may sound hypocritical when the majority of my deals are new car purchases and about half of those are leases. However, buyers who decide that a new vehicle or lease is what they want should be doing so with a clear understanding of the alternatives, and have made a choice that is comfortable within their budget. What often comes up in conversation is someone who is in a difficult financial situation comes to me for advice with the idea that their temporary car problems can be solved with another car. What I’ve noticed in these instances is that folks see their vehicle expenses only in one dimension. Before gas was cheap, I would get something like this: “Hey Tom, I need to trade my gas guzzler in for something more efficient. What should I get?” My immediate response is always “Is your car paid off?” Usually, the answer was yes, and they would give me a puzzled look as to why their loan was relevant to their miles-per-gallon. In all the anecdotes above, the owner is forgetting to look at their total vehicle expenditures within the larger context of their spending. When it comes to budgets, most folks care about the amount of money going out of their bank accounts on a monthly basis. 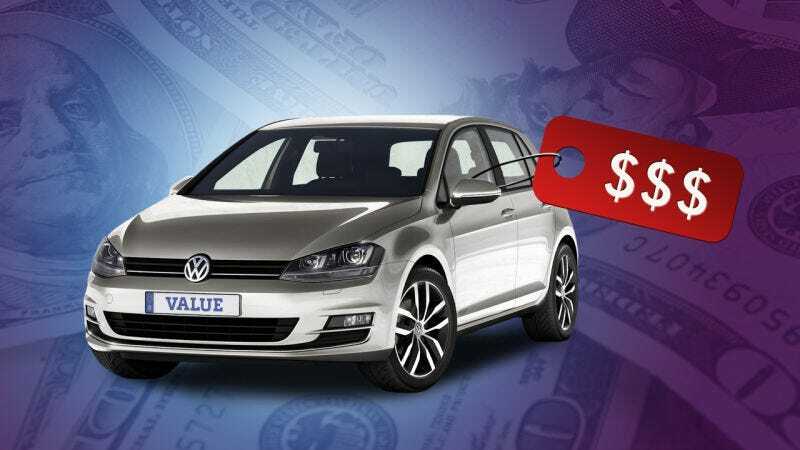 Therefore, when looking at vehicle expenses you want to view this as a total cost by adding in expenses like fuel, loan/lease payments, and insurance. In the case of the person who wants to trade in their paid-off gas guzzler for a green machine, they are failing to see that their gas cost isn’t going to go away—it’s just going to be reduced. However, they are adding a loan or lease payments, and most likely higher insurance premiums. Even if they spent $400 a month on fuel for a giant truck that got 15 MPG and traded it in for a compact that gets 30 MPG, the fuel cost will go down to $200 a month. But a $25,000 compact is going to cost them about $450 a month, if we assume a three percent APR for 60 months, whereas they had no car payment before. This would mean a total vehicle expense of $650 a month before any additional insurance costs. See how you’re not really saving money at that point? If people think their car is becoming a money pit, there are a few key things to think about. Is the car paid off? If so, are the cost of repairs so frequent that they’re starting to look like car payments, and is the lack of reliability preventing you from your daily functions? There comes a point in time when a car is just not worth fixing anymore. If the engine is shot or the transmission needs a major overhaul, it’s probably time to move on. But for minor issues or wear items, the best financial move is to put a little bit of money in here and there because over the course of a year it is still cheaper than making payments. Things like brakes, shocks, hoses and belts wear out and need replacing. Sometimes this stuff can be pricey, but the repair investment will keep the vehicle in good shape for a long time. For those folks that don’t have the spare cash for repairs, many shops and dealerships are offing financing options. Taking a loan out to fix a car might sound counterintuitive, but a short term loan of a few thousand to keep something running is better for your long-term budget than a several year loan for $20,000 or more. Every year I have to throw some money at our family’s Toyota Sienna to fix something. My wife needs it for her wheelchair; the Toyota parts are fine, but the handicapped conversion portion that constantly needs maintenance. Even though some of these repairs can be costly, and it’s frustrating to either lose a day of work and/or have the van be inoperable for a few days, it’s still better than the alternative. A new van with a warranty would be great, but a purchase would set us back at least $50,000 including the conversion. That would be way more devastating to our budget than the occasional fix. Of course, if you are still making payments on your car and you are starting to incur regular maintenance fees (especially costly ones), you may want to consider getting something else. Sometimes people end up with cars that turn out to be really unreliable. Making loan payments and repair payments on something that is becoming a hassle is not worth it. What it comes down to is being honest with yourself why you think you should get another car. Sometimes you just want something new or newer; if your budget allows it, go for it. Just realize that most of the time your upgrade is out of want, not need. Keep in mind the big picture and realize that if your current ride is costing you money, a new one is probably going to cost you more.